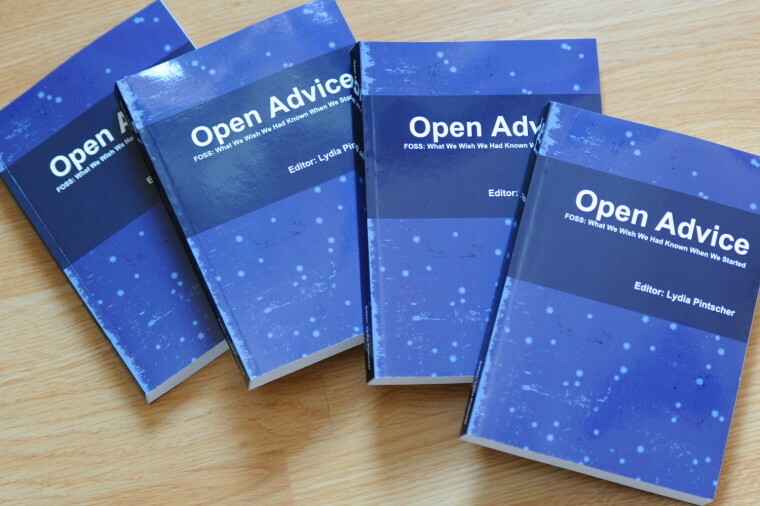 The "Open Advice" book is available for free download, or purchase as print from lulu.com. The book was just announced at FOSDEM, the Free and Open Source Software Developers' European Meeting, in Brussels over the week-end. About 50 authors from many different projects of the free software community were brought together by Lydia Pintscher, the book's editor, who started the project in early 2011. A year and 380 pages later, the book is now available, and tries to provide an answer to the question: What's the key thing you would have liked to know when you started contributing? Authors answer that question for many topics, ranging from "Writing patches" to "Documentation for Novices", to business models, conferences, translation, design, and more. I contributed "Learn from your users", a chapter on user experience and usability testing. You'll also recognize other names from the Wikimedia community, like Evan Prodromou, Markus Krötzsch and Felipe Ortega. You can learn more about the book and the authors on the book's website. All the content of the book is released under the same license as Wikipedia, the Creative Commons Attribution Share-Alike license. Check it out! You can download the book for free as a PDF file, order a print from lulu.com if you prefer paper books, or fork the text on GitHub. I hope you'll like the book, and it'll prove useful, whether you're new to the world of software, or you're a seasoned contributor already.